Who needs the Washington State Boater Education Card? All boaters must have a Washington State Boater Education Card to operate a motorized watercraft of 15 HP or more. In Washington, all boaters must successfully complete a boater safety course approved by the Washington State Parks & Recreation Commission in order to operate a motorboat with greater than 15 hp. 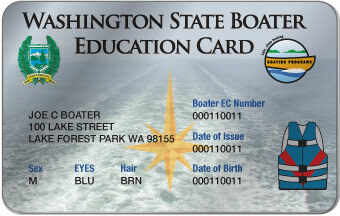 Boaters are required to carry the Washington State Boater Education Card as proof of boater education. PWC operators in the state of Washington must be at least fourteen (14) years of age. 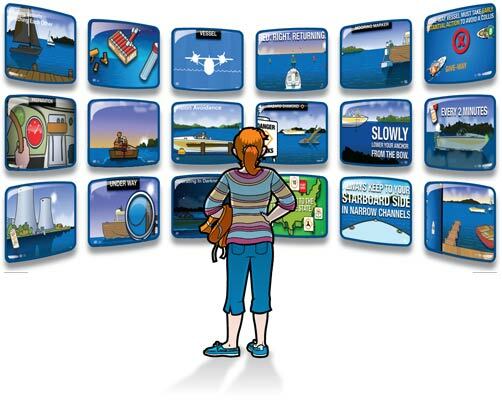 From laptop to mobile phone to tablet, choose when and where to take your boating course and get your Washington State Boating Card. 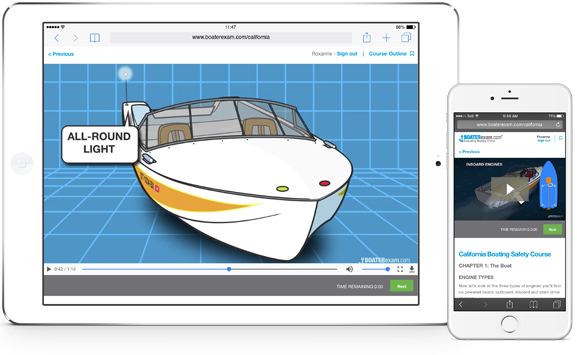 Our Washington State boating license course features hundreds of rich engaging boating videos and animations. That means you aren't just reading: You're watching, listening and learning. This official Washington State boating safety course is approved by the Washington State Parks & Recreation Commission. Download them, print them, share them, save them to your mobile device! From registration to accident reporting to invasive species to law enforcement. Everything state specific to Washington, in one neat & tidy little E-book. NOTE: Not a substitute for the online course. Download PDF Now! Have a quick question about Washington boating regulations? 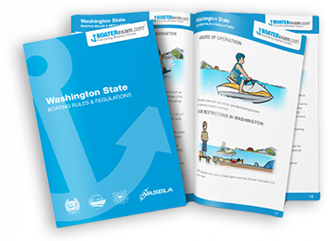 A great first stop is our Washington State Boating Laws page where we answer some of the most frequently asked questions about state boating laws, like who needs a Boater Education Card.